Bring it to Life with high quality single stones, matched pairs, and suites from Gem 2000. Fine singles and matched pairs in vibrant well cut reds in Burma and African materials, plus melee. Great selection at great values. For over 27 years, Gem 2000 has been importing fine gems from all world sources in a large range of materials, offering exceptional service and expertise to our customers. Survey: Wealthy Women Prefer Jewelry From Tiffany & Co.
AGTA Member Community Facebook Group: Join Today! Calling all AGTA Members! Looking for a place where you can connect with your peers? Need information on a gemstone or have a callout for a special gemstone? 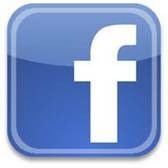 The AGTA Member Community Facebook Group is just the place for you! On our new community site AGTA Members can discuss business-related issues with each other in a secure setting. Click here and request to be part of the group! What Social Media Platforms Are Right For Your Brand? ePRISM is always looking for interesting content. If you have stories related to colored gemstones or pearls to share with our readers please email them to Austin@agta.org for consideration. Send web links or separate files.